Famous People Who Suffered from a Heart Attack and Cardiac Arrest - First Edition First Aid Training Inc.
Did you know that heart-related emergencies can happen to anyone? Although many believe that heart attacks and cardiac arrest only occur to individuals in their senior years, every person of every age and gender can experience a heart-related event – even the famous! Although their lives depicted on media often lead us to believe that they are healthy, happy, and invincible, many famous individuals have suffered from a heart attack or cardiac arrest. Some of these individuals surviving through it, and others, unfortunately, leaving their legacy behind. 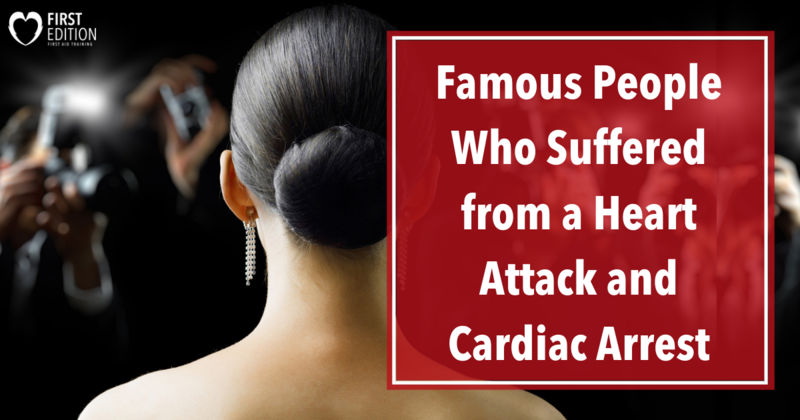 Take a look at these famous individuals who suffered from heart emergencies. While working out in his local gym, fitness trainer and famous icon from The Biggest Loser, Bob Harper, collapsed. Despite his fantastic shape and healthy lifestyle, his heart fell into cardiac arrest. If it were not for the quick thinking of others in the gym, Bob may not still be here. Thankfully, those around him happened to be doctors and they reacted immediately, rushing to Bob’s side to assist. They performed CPR and grabbed the gym’s AED and began to shock Bob until emergency responders arrived. Those shocks and immediate attention were the thing that saved his life. Bob Harper spent 2 days in the hospital in a coma but soon recovered and was back on his feet. Since, he has taken the time to share his story, explain the importance of AEDs, and remind people that even the healthies individuals can have heart trouble! Take a look at his amazing story and see what he is doing today to create awareness for the importance of AEDs. While onstage for the Reality Tour back in 2004, bandmates of David Bowie announced that Bowie actually had suffered a mild heart attack while on stage. It is unsure exactly when in the performance that he felt the symptoms of the heart attack, but there is footage of David holding his arm and at another point slightly stumbling, although most of this is speculation. It was announced a few days later that Bowie had in fact suffered a mild heart attack during the show. 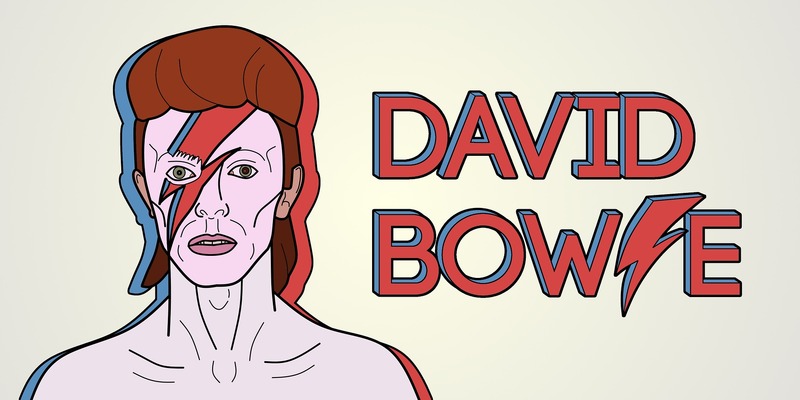 When interviewed years later, his band member Slick, recalls that in the 2004 tour, Bowie wasn’t looking well on-stage. He reports feeling worried and remembering someone coming to lead him off of the stage at one point. Bowie recovered from this heart attack, and it was not until after his death that it was revealed he had suffered more. These other incidents were revealed by David Bowie’s biographer who claimed that David suffered six separate heart attacks before his death from cancer in 2016. Famous professional golfer, Bernard Gallagher, was in Aberdeen in 2013 giving a speech when he fell to the ground during his talk. Many of the spectators assumed it was part of the act, but others quickly realized that something was seriously wrong. Two of the individuals who ran to Bernard’s side were nurses who were in the hotel and were able to identify the problem immediately. They began CPR, giving breaths and compressions for roughly 20 minutes until the defibrillator arrived and was ready to shock Bernard. Known for her role as Princess Leia in the Star Wars films, actress Carrie Fisher was beloved by many. Her loss was felt by all those in the film industry, as well as fans of the science fiction series. It was in December of 2016 that Carrie Fisher was scheduled to take a flight from London to Los Angeles. It was on the flight that Carrie stopped breathing and suffered a cardiac arrest. Not much was shared about the incident, but it was identified that Carrie was transported off of the plane by EMTs and was considered in stable condition after arriving to the hospital. Unfortunately, it was a few days later on December 27th that Carrie passed away. The English football player, Fabrice Muamba, who is now retired, did so due to his heart attack that he had during a game in 2012. During a football quarterfinal match, in the first half of the game, Fabrice fell to the ground. The entire stadium went quiet as medical staff rushed onto the field to assist. After recognizing what was going on, the medical staff provide him with oxygen and began to perform CPR. They continued CPR until the AED was brought to Fabrice. Once the AED was set up, a total of 15 shocks were administered both on the football field and in the ambulance on the way to the hospital. Each of these stars was a different age and it is important to note that even the healthiest individuals, such as Bob and Fabrice, experienced heart attack and cardiac arrest. For everyone, the best way to prepare for these emergencies is to ensure that there is access to AEDs as well as being trained in first aid. Learn where nearby defibrillator locations are, understand how to use them, and learn CPR to protect all those around you!